Happy Thriller Night! To celebrate Halloween 2016, Q and Jamon are joined by host of fellow Michael Jackson podcast Moonwalk Talks, Jankins along with bassist, studio engineer and MJ collaborator CJ DeVillar. CJ collaborated with Michael on a range of songs including the unreleased and authentic version of Monster (which we discuss in detail on this episode), Blue Gangsta, A Place With No Name, Break of Dawn and multiple tracks on the HIStory album. To kick things off, Jamon and Q spring an impromptu interview on Jankins, followed by a discussion around all the latest news in the MJ world. 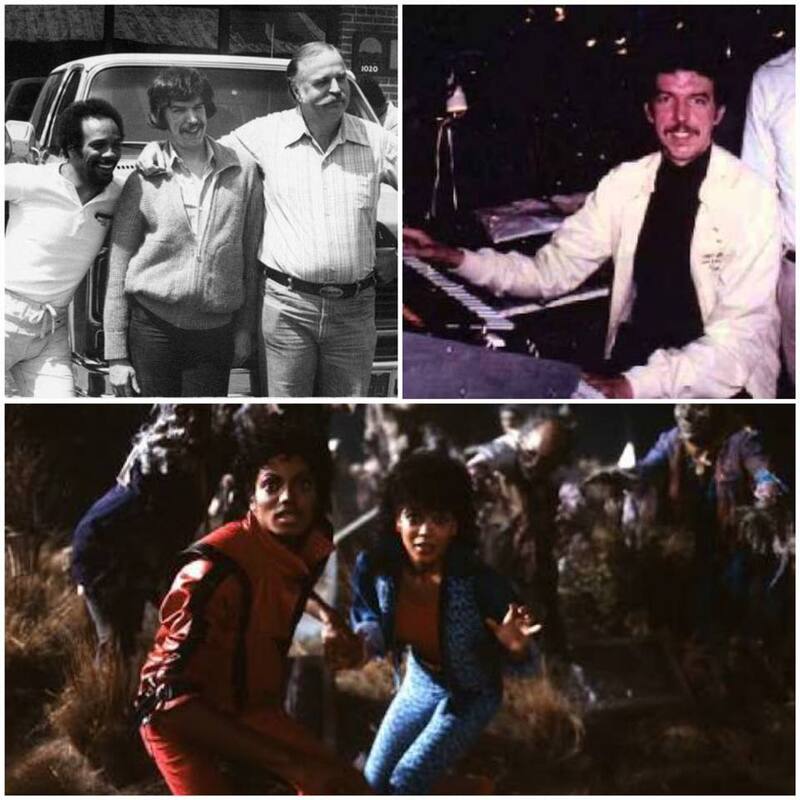 Topics include the recent and unfortunate passing of Thriller songwriter Rod Temperton, a new Michael Jackson project as revealed by John Landis and Nick Amideo’s Monster Movie Mash video. The team then discuss Travis DeRose’ marathon moonwalk across Europe, a competition around Smooth Criminals – The Songs of Michael Jackson and a new dance video set to Black or White. The news is capped off through an update on the Sony/ATV acquisition and a brand new book coming from The Jacksons called The Jacksons: Legacy. The main discussion topic for this episode is a chronological exploration into Michael’s horror themed work. Guy moonwalks across Europe and it’s a thriller! If you have any thoughts, opinions, or feedback on the show, we’d love to hear from you. Contact us at themjcast@icloud.com or find the links to our many social networks on www.themjcast.com. Michael on! This entry was posted in Specials, The MJCast, Uncategorised and tagged A Place With No Name, Bad World Tour, BBC Radio 2, Ben, Bence Peter, Black or White, Blood on the Dance Floor, Blue Gangsta, Books, Break Of Dawn, Brisbane, CJ DeVillar, Ghosts, Halloween, History, Immortal, Interview, Is It Scary, J Randy Taraborelli, James Egbert, Janet Jackson, Jankins, Jermaine Jackson, John Landis, Katherine Jackson, La Toya Jackson, Little Susie, Making of Ghosts, Making of Michael Jackson's Thriller, Michael Jackson, Monster, Moonwalk Talks, Morphine, Nick Amideo, Off the Wall, Onderkoffer, Remixed by Nick*, Rockwell, Rod Temperton, Smooth Criminals - The Songs of Michael Jackson, Somebody's Watching Me, Sony, Sony ATV, Sony/ATV Catalogue, Special, The Jacksons, The Jacksons Variety Show, The Jacksons: Legacy, This Is It, This Place Hotel, Threatened, Thriller, Thriller Night, Torture, Travis DeRose, Verticle Video Syndrome, VH1, Xscape, Your Ways by Jamon Bull (Admin). Bookmark the permalink. An Australian guy who loves tech, sci-fi, music, film & history. I also host a Michael Jackson podcast called The MJCast. 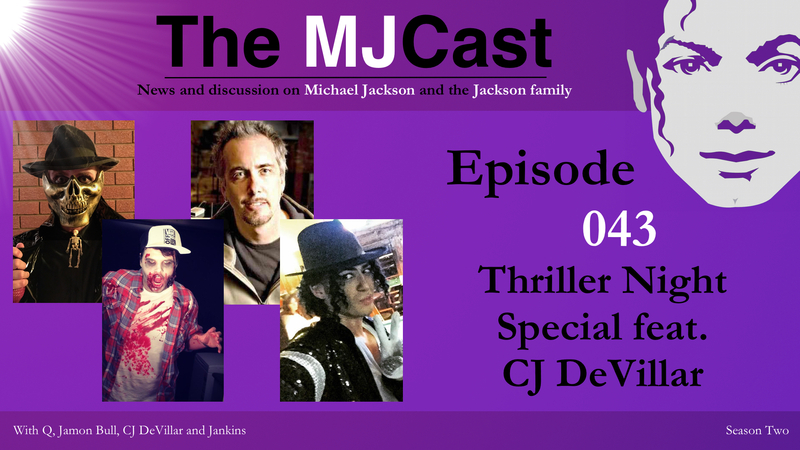 Copyright © 2019 The MJCast All Rights Reserved.